We had 52 participants in the Pedestrian Challenge!! More details to come. Thank you everyone (racers, walkers, volunteers, supporters, businesses, boothers, and the awesome band) who made Crozet Trails Day 2011 a success. 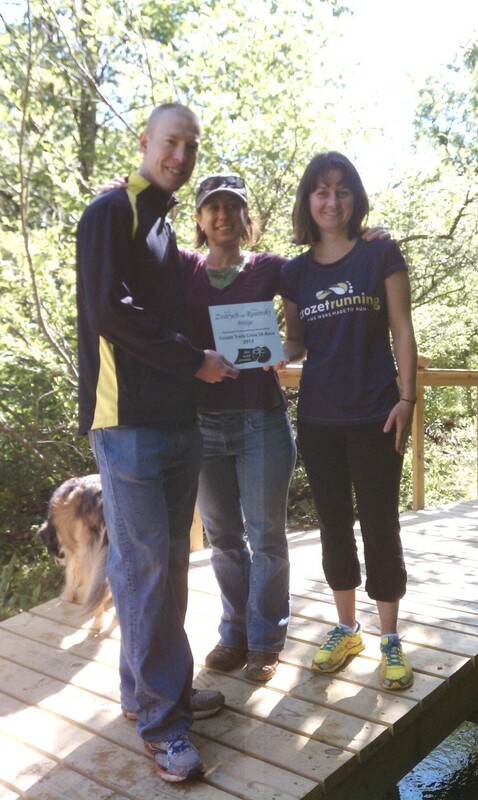 Not only did we raise enough money to significantly help with the trail bridges, we also raised awareness and enthusiasm for the cause. 3pm- Raffle drawing and fireside Trails Tales (Old Trail Village Center). 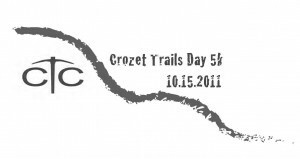 If you are a business wanting to get involved or someone who would like to volunteer for either event, please go to the appropriate drop-down tab under “Crozet Trails Day 2011”, and Thank You!! Please arrive by 8:00am, race will begin at 8:30. The day will start with a 5k run around the WAHS cross-country trail, starting and finishing in front of Trailside coffee, where there will be informational and vendor booths, as well as raffle ticket sales. There will be a 1-mile fun run/walk as well, just after the 5k race. and sponsored in-part by local businesses. **Packet pick-up and late registration- Friday, October 14th, 6-8pm @ Trailside Coffee. **Packet pick-up and day-of registration– 7:30-8:00am Saturday, October 15th. To register for the 1-mile fun-run, please send an email to jessica@crozettrailscrew.org and include the number of fun-run participants and their last names. There is no fee associated with the fun-run. 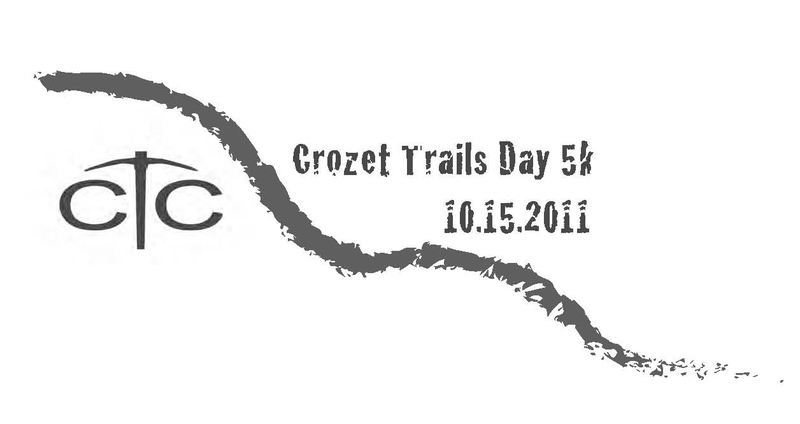 If inspired, donations can be made at the Crozet Trails Crew Booth located at the race area. The Pedestrian Challenge will be from 10-2pm and will take place all over Crozet. Crozet residents and guests are invited to walk and/or bike to the participating businesses, schools, churches and other locations. The goal of the Pedestrian Challenge is to encourage you to experience how easy (or difficult) it is to walk and bike around Crozet; to your church, your kids school, the Farmers Market, etc. This adventure may also open your eyes to all the convenient and hometown businesses we have right here is Crozet. As a bonus, at each location you will receive a raffle ticket. Tickets will be collected in several boxes around town by 2pm and the raffle drawing will be held later that afternoon. The more raffle tickets you collect or purchase, the better your chances to win. Raffle items are being donated by local businesses as well as regional businesses that support our mission. Continue to check this web page for updates, and make sure you pick up the September AND October issues of the Crozet Gazette!